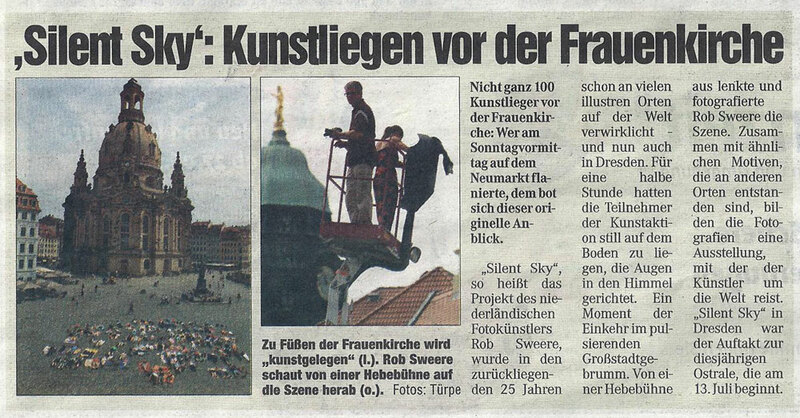 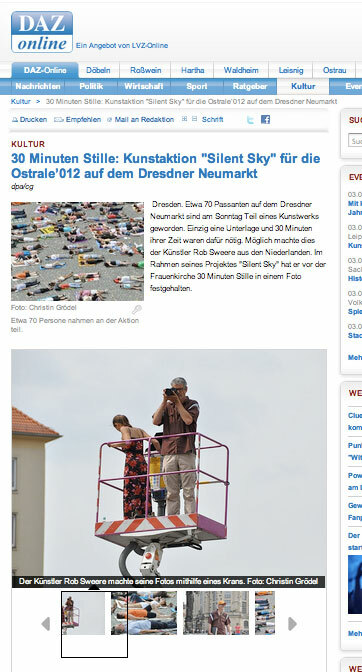 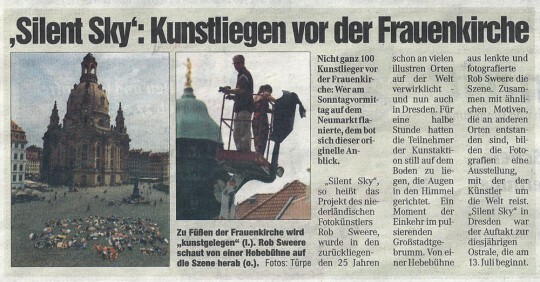 Silent Sky Project#50 July 1st 2012, 11.06 – 11.36 am, 125 participants, Dresden, Germany. 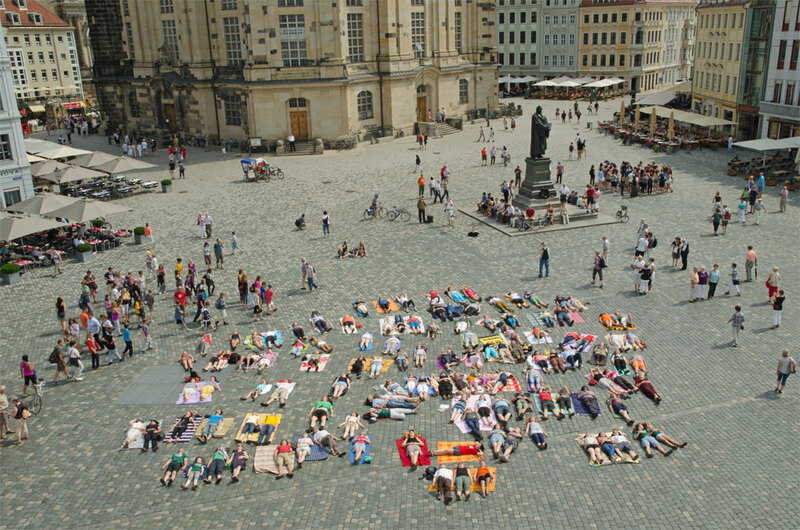 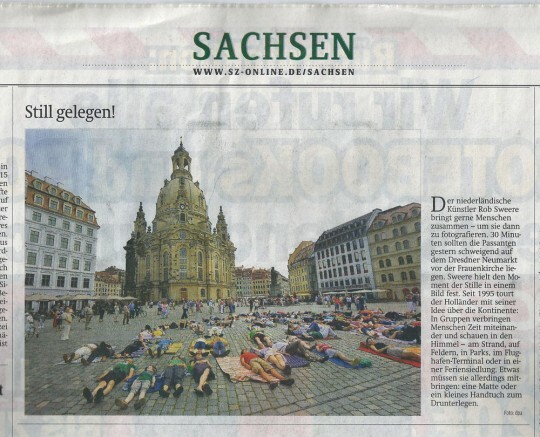 The people from the city of Dresden came together at the square in front of the Frauenkirche to look at the sky in silence for 30 minutes. 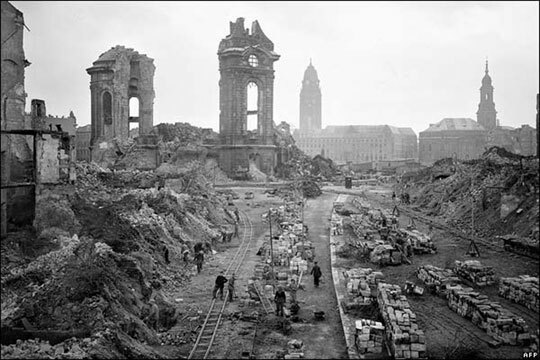 The Frauenkirche in the center of the city was bombed during the second world war and is afterwards fully restored. 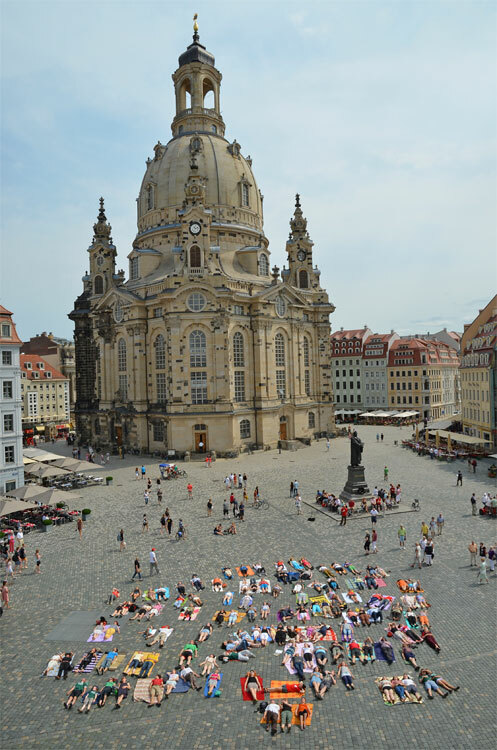 The church is an important symbol for Dresden. 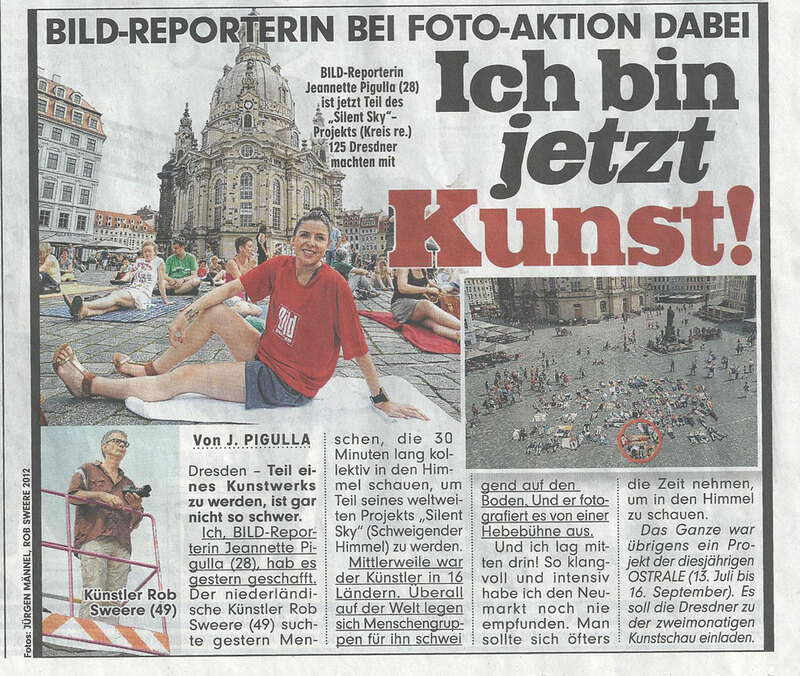 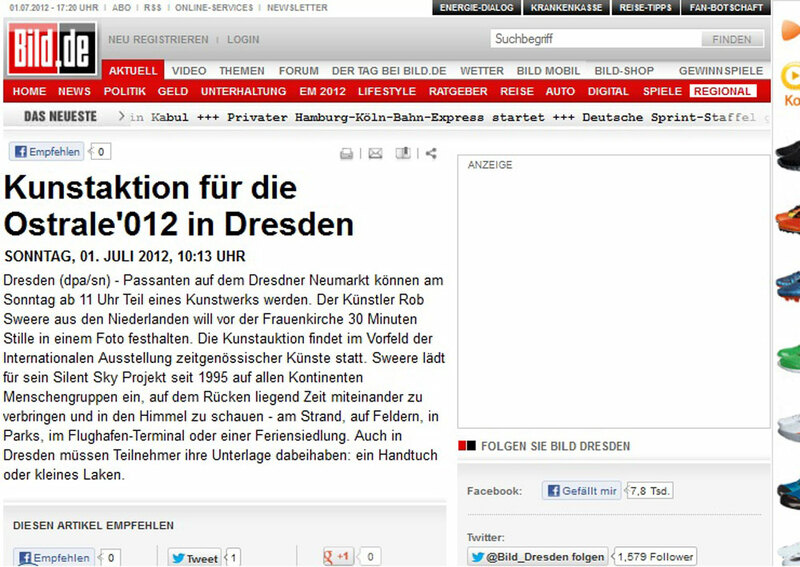 Thanks to: Andrea Hilger, Ostrale 2012, Stadt Dresden. 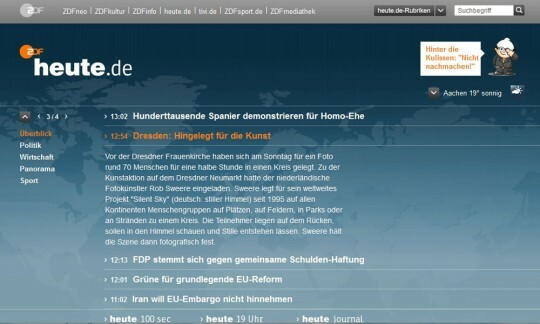 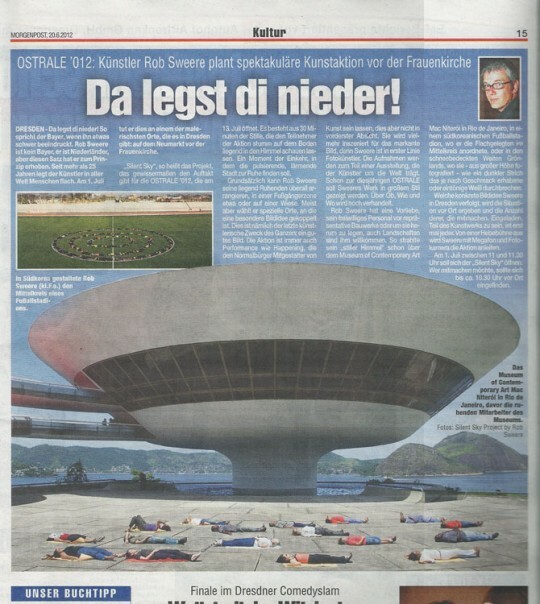 my greetings to them who are the strongest people in germany!